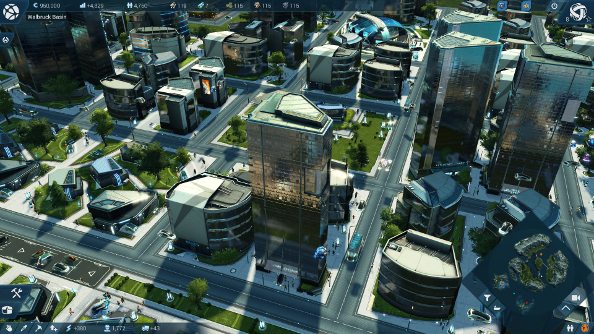 For the last week, I’ve been playing Anno 2205, wearing only my finest suits, sitting at my fancy desk, managing a company dedicated to going to the moon and doing rad things there. I have warmed up freezing scientists in the Arctic, showered my population of operators with luxury goods, made some shady deals and I even managed to fit in some time for sailing. I’ve been CEOing the heck out of this game. Looking for more strategy games? Take a look at our list of the best PC strategy games. What do you mean I can’t go to the moon? I was reading what was in the preview build while I waited for Anno 2205 to install, and already I felt like a 12-year-old would-be astronaut being told that he would never realise his dreams. Ubisoft’s latest economy management game tasks players with setting up a global company with an eye toward colonising and exploiting the moon, but that part of the game didn’t make it into the preview build. It worked out, ultimately, because I was able to explore more of what’s different about this installment in the series beyond that big, important rock in the sky. There are quite a few changes, but all underneath what at first seems very familiar. 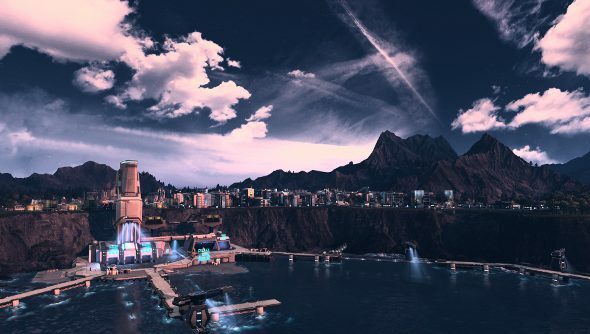 Despite almost 200 years of progress, Anno 2205 looks a lot like its predecessor, though undeniably prettier. Water dominates the maps, while civilisation hugs the coast. Zoom in and you can see flying cars going about their business, weaving through the streets and between compact sci-fi buildings. After I gave my company a name and an emblem, I stepped into the campaign, which eases you in, and got back to doing what I’ve always done in these games. The resource and advancement loop that runs through the entire series persists: build dwellings, construct buildings to harvest resources, erect factories to turn these resources into products, and then elevate the population by fulfilling their needs. There’s something soothing about this loop, watching those little progress bars go up as I construct another juice factory or buy a new aluminium mine to harvest and create some of the game’s staple resources, exclusive to the sci-fi branch of the series.. But these needs are constantly escalating. A larger population needs more of the same things, while a more advanced population will start clamouring for different types of goods. And sometimes, there’s no way to get these goods in the settlement. 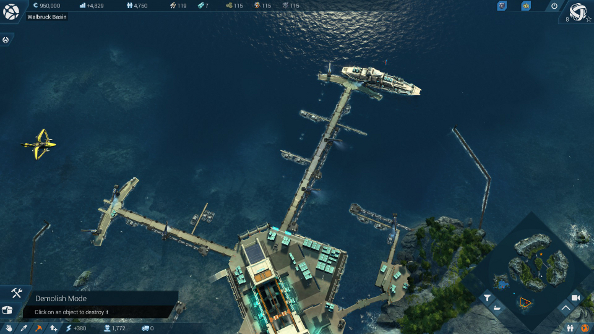 In the previous game, you’d hit up another island to perhaps find the resources you need, and you can do that in Anno 2205, but you might end up needing to look further afield. You don’t simply manage one base, you will have to construct new ones on other parts of not just the map, but a new map in another part of the world. My first settlement, constructed in one of three possible temperate zones (I chose this one because you can build a giant dam, objectively the coolest type of power station), required superalloys and neuro implants before my population could advance, but neither of those things could be constructed in that region. That’s where my chilly Arctic base came in. It’s a very different type of colony. The flashy skyscrapers and luxury homes of the temperate region don’t do the job in a more hostile climate, where workers dwell in insulated pods and roads are tracks cutting through the snow. There, I could make the resources the other base needed, sending them over using the trade system on a global menu screen. As thanks for all their hard work, I shipped some lovely juice over to my workers in the north, so everybody won. One colony got advanced tech and resources, while the other got a tasty beverage. Don’t roll your eyes at fruit juice. It’s what keeps my colonies ticking. That cheeky glass of OJ at the end of a hard day in the petrochemical plant or the robot factory is what my workers live for. They can’t get enough of the stuff. I must produce more fruit juice than food. Simultaneous control over multiple, diverse colonies adds another potentially interesting layer of management to the game, and importantly provides an extra bit of variety right out the gate. Not only do the colonies look different and produce different resources and goods, they also raise different problems that need to be overcome. In the Arctic zones, for instance, keeping the population warm is a constant concern, and an extra pair of socks doesn’t cut it. Factories and the like generate heat, so they need to be built close to habitats or everyone gets increasingly cold and irate. As well as the extra layer of management, juggling multiple colonies also adds an extra layer of faffing, even without the introduction of the moon colony. To swap between them, you need to go to the main map, click on the colony you want to enter, watch it load, select it again, and then get in. This only started to become a bit of an annoyance when necessity demanded that I switch frequently to construct new buildings and set up a bunch of trade routes. I’d put a building down, leave, wait for the other zone to load, plonk down another building, leave, wait again and this cycle just goes on. 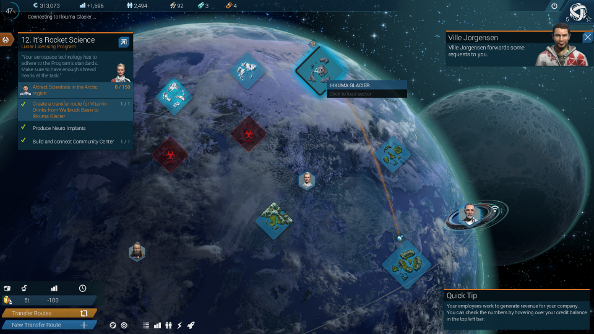 Anno 2205 is very segmented, and it might be a problem. As well as the separate colonies on the moon and on Earth, crises also flare up that send you off to yet another map. These are combat encounters between ships in areas tailored for battle. You get a small fleet and must, generally, blow stuff up. 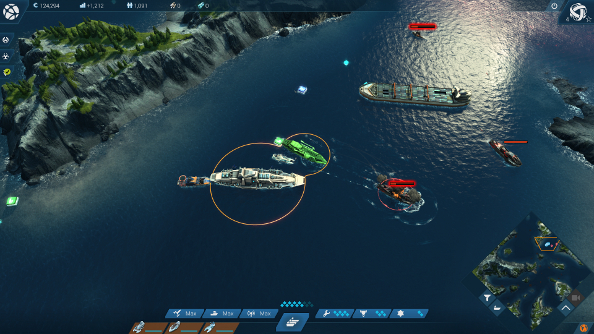 Naval skirmishes are simple, though a bit more than just clicking targets, as there are special abilities like missile barrages, repairs and shields that require power and ammo that can be found at sea. Other resources, useful in the management game, can also be gobbled up. It’s all a bit dull though. The pace is plodding, the combat is trite and it’s entirely cut off from the rest of the game. Other missions, at least, take place on the regular colony maps. They aren’t much more scintillating, however. Outside of the main mission, they tend to just be nearly contextless quests that make you send your boat to one location and then back again. Sometimes there are multiple locations. It’s a lot of busywork, but at least it’s possible to send the boat on its way and get back to building and colony management as it sails across the water. Main missions, while a bit flavourless, do a good job of easing CEOs down a sensible path, setting goals that help to create efficient settlements that work in tandem. And there’s the story of moon terrorists and more than a hint of the environmental themes from the previous game. I sort of glossed over the moon terrorists, didn’t I? Yes, there are some moon people who aren’t fans of big companies building on the rock so they’ve been attacking spaceports. Maybe they’re really the good guys and I’m the bad guy? I’ve not figured it out yet. I’m finding, not surprisingly, that things are a lot more fun when I’m just messing around, ignoring the ‘organised activities’ that the game keeps reminding me are pending. Tweaking the layout of a colony to maximise power or heat, keeping up with demand of fancy future tech by adding a new module to a couple of factories or creating new trade routes, allowing multiple colonies to feed off each other’s successes – that’s what kept me stuck to my shiny CEO desk after everyone else had called it a night. All the stuff I already like about Anno is already in 2205, and making it work on a new scale, with two worlds and multiple colonies would be quite the thing, but right now I’m not quite convinced by its segmented nature. It seems opposed to the larger, more open ambitions of the game, stopping it from feeling properly cohesive. Maybe I just need a trip to the moon. 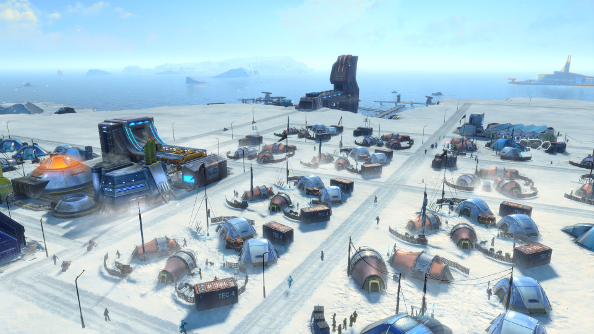 Anno 2205 is due out in November.